the similarities between the sculpt and the Devil/Angel image are significant. If MGA were selling the sculpt as a final product, there might well be a triable issue of fact regarding copyright infringement. But Belair’s complaint alleges that it is the Bratz line of “dolls, toys, games, and videos” that infringes on his copyrighted image. The sculpt is not available for purchase. 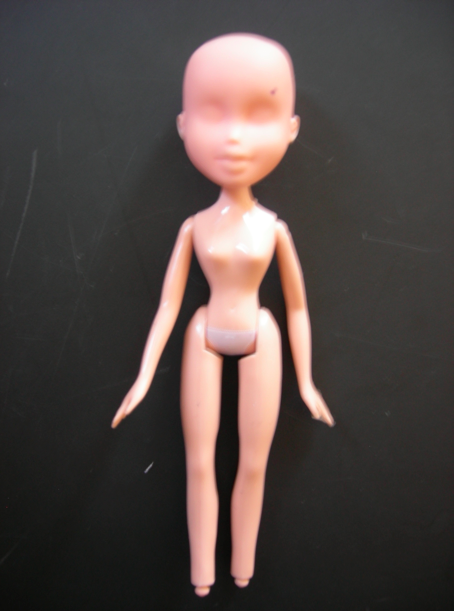 It is only one component of some of the Bratz dolls and is not incorporated at all into many of the Bratz toys, games, and videos. 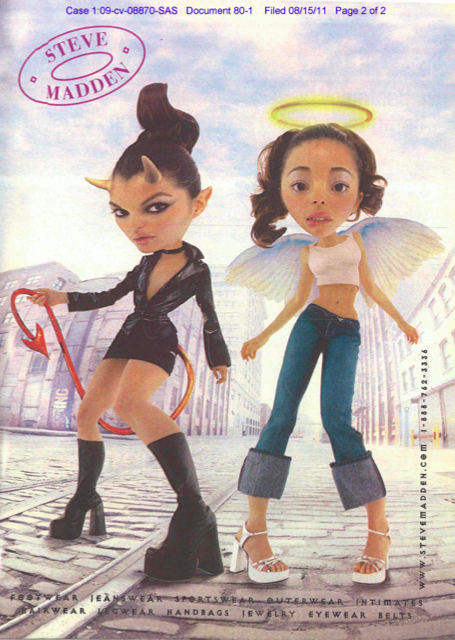 The Bratz dolls and the figures in Angel/Devil Girl do share similarly large heads, long limbs, and thin waists. That is no surprise. 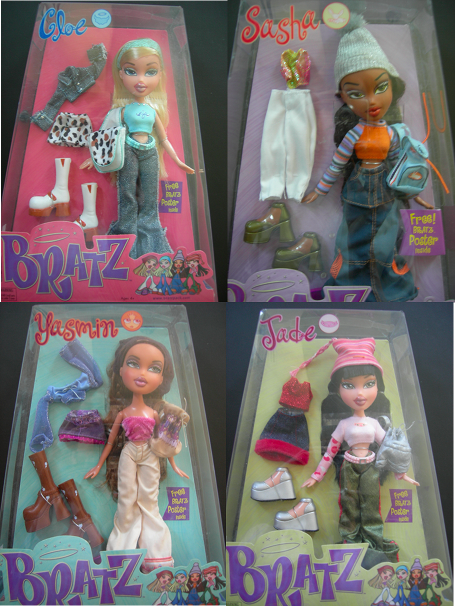 The Bratz dolls were initially modeled after the Belair figures. But in their transformation from a photograph to tangible figures, the Bratz dolls have been molded, painted, and dressed so that they no longer look like the Devil and the Angel. It is undisputed that MGA was aware of the Steve Madden look and sought to capitalize on it. But that is not enough to justify a finding of infringement. “Stirring one’s memory of a copyrighted character is not the same as appearing to be substantially similar to that character, and only the latter is infringement.” Although the Bratz dolls may indeed bring to mind the image that Belair created, Belair cannot monopolize the abstract concept of an absurdly large- headed, long limbed, attractive, fashionable woman. He has a copyright over the expressions of that idea as they are specifically articulated in the Angel/Devil image, but he may not prevent others from expressing the same idea in their different ways. Belair v. MGA Entertainment, Inc., No 09 Civ. 8870 (SAS) (S.D.N.Y. Nov. 16, 2011).